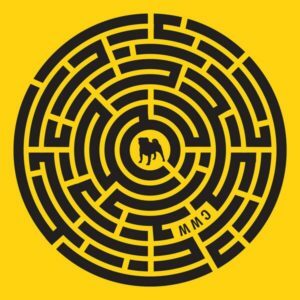 What happens when a City funded animal control (City of Chicago Animal Care and Control), not for profit organization (Lost Dogs Illinois) and a professional hockey team (Chicago Wolves) join together for the second time? 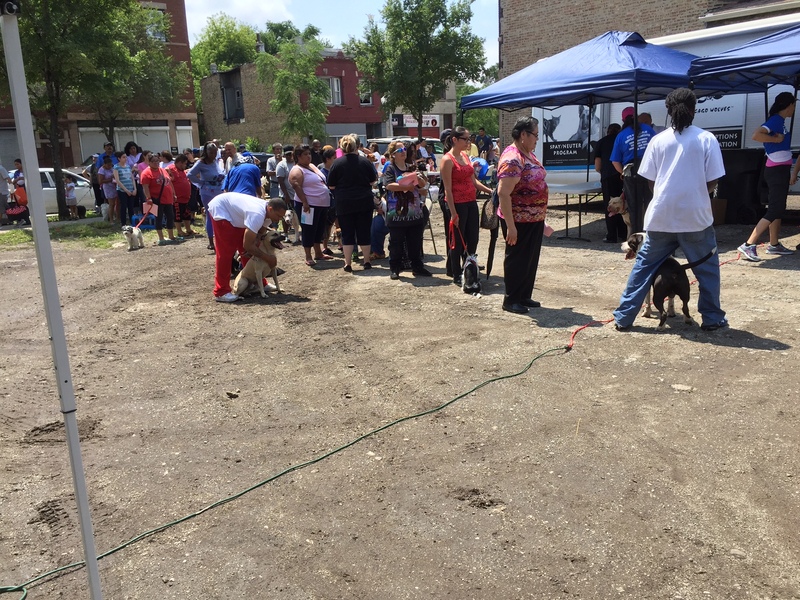 They put on a Free Pet Health Fair sponsored by Alderman Raymond Lopez. 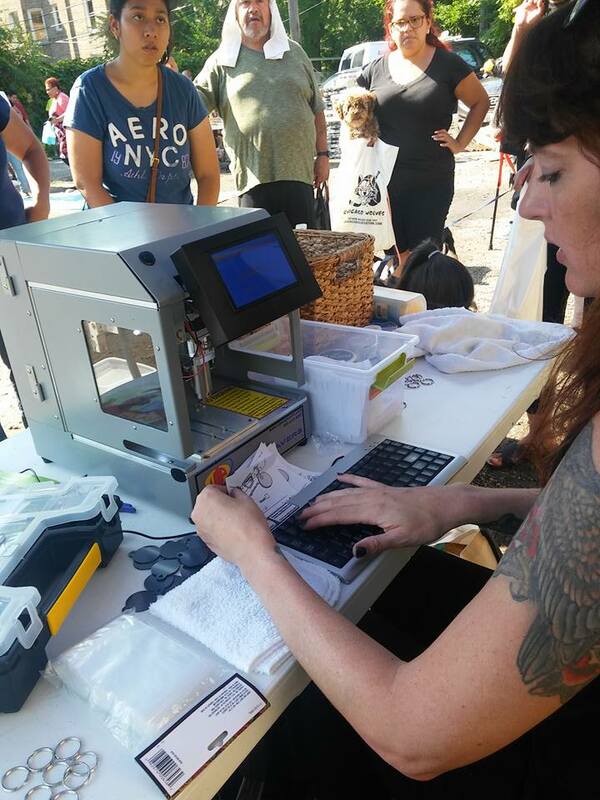 Also each dog was microchipped and received an engraved ID tag that was attached to their collar. 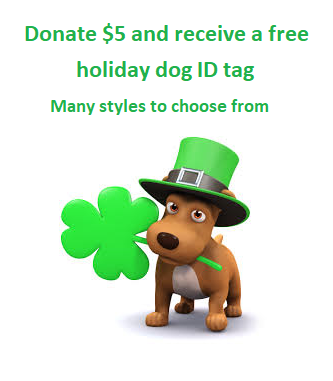 Over 400 ID tags were donated by Lost Dogs Illinois. 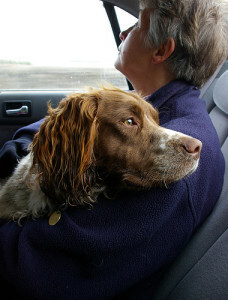 These pictures say it all….. preserving the human/animal bond. 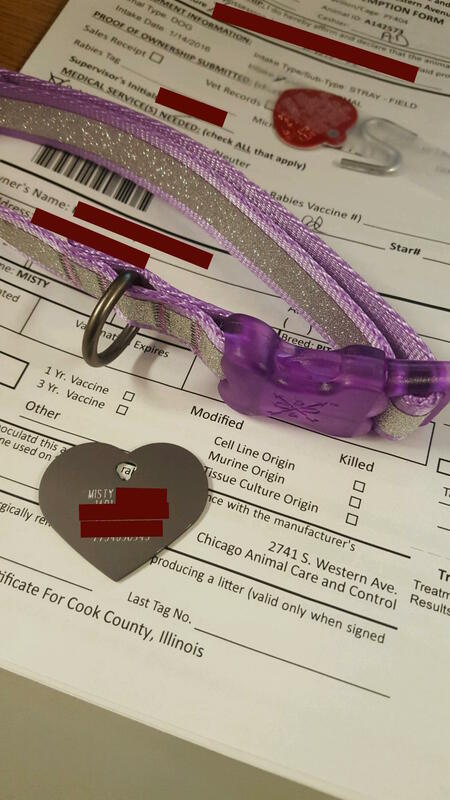 This entry was posted in Events and tagged Alderman Raymond Lopez, CACC, City of Chicago Animal Care and Control, preserving human/animal bond on August 1, 2016 by Susan. 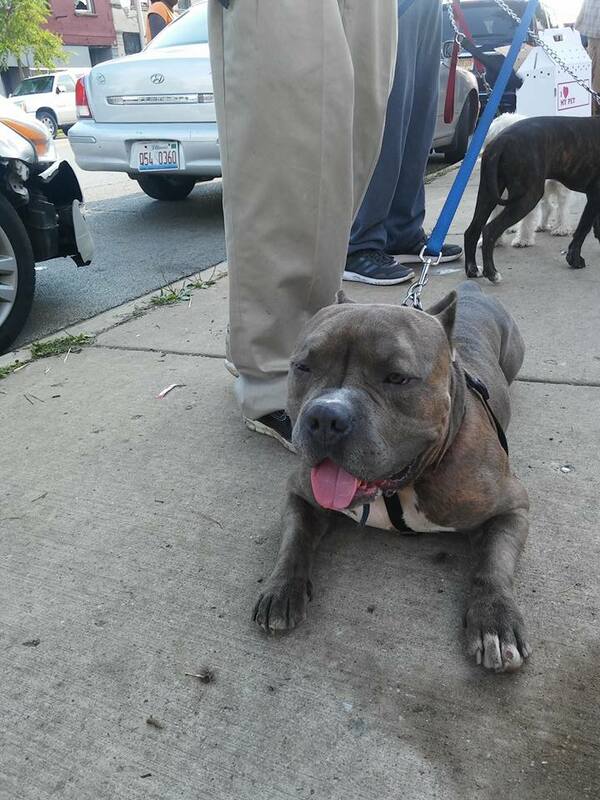 Since the Chicago City Council and Mayor approved the 3 day stray hold, the Director of Lost Dogs Illinois has made a commitment to try to attend the City of Chicago Animal Care and Control (CACC) Commissioners Meeting. The meetings are held every two months at CACC starting at 8:30. After the meeting is over, the public is allowed to read a statement or ask questions. On March 19, our Director read this statement to the Commissioners. Our Director attended the next scheduled meeting. 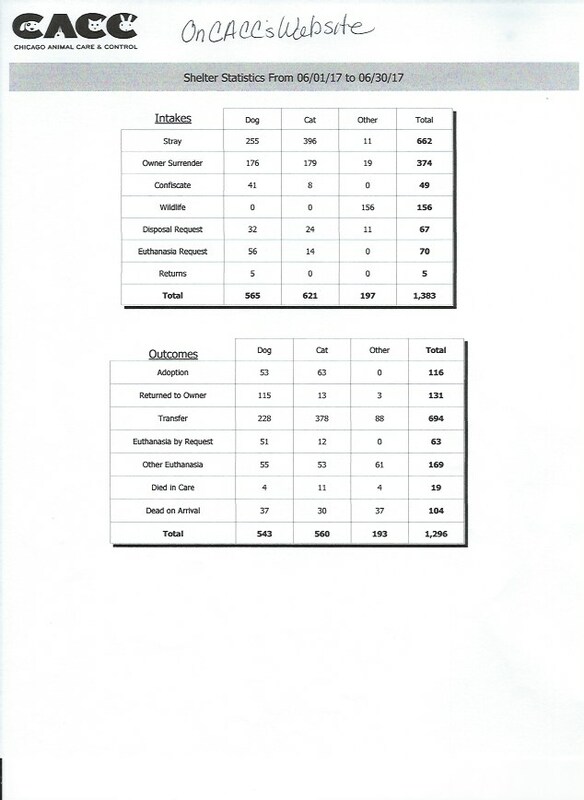 This is the statement she read: “Since Animal Welfare League and other facilities have been approved to hold Chicago stray animals, aren’t their Return To Owner statistics posted publicly like CACCs. 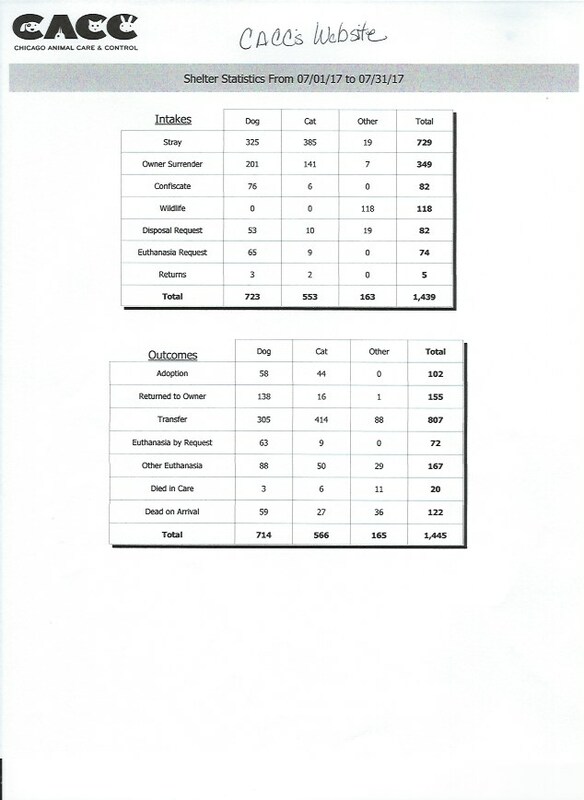 What are the fees and fines that each facility charges and are they posted publicly like CACC does? 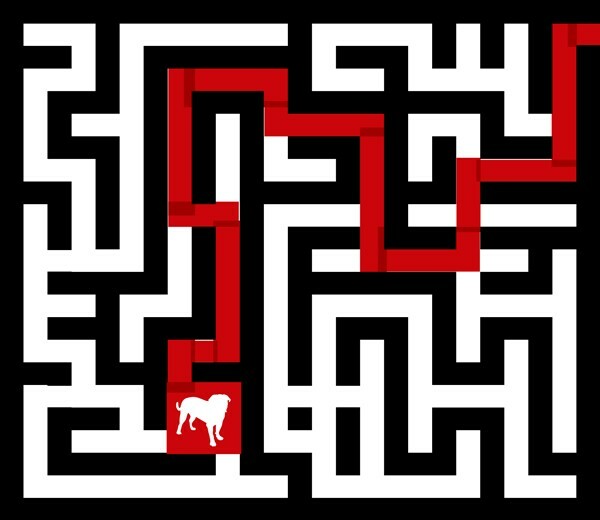 What is the cross communication among these facilities in order to help owners find their lost pets? CACC is supported by Chicago taxpayers. 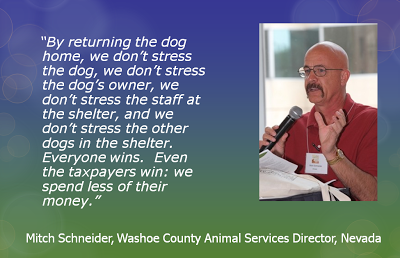 As taxpayers, you have a voice and should not settle for anything less than excellence from CACC. The next meeting is Thursday, July 16th at CACC. 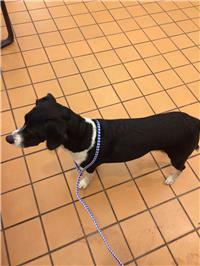 This entry was posted in Animal Control/Stray holding facilities, Our Organization, Rescues and Shelters and tagged animal control, Animal Welfare League, CACC, posting "found" dog photos, Stray holding facilties on July 1, 2015 by Susan. Miracles and happy endings do exist!!! Coqueta was reunited with her family the next day after her mandatory three day stray hold at Chicago Animal Care and Control (CACC). Miracles and happy endings do exist!!! Thanks to the guidance and help from the two animal welfare organizations, Red Door Shelter and New Leash on Life; Coqueta’s Good Samaritan was able to pull Coqueta from CACC and foster her. 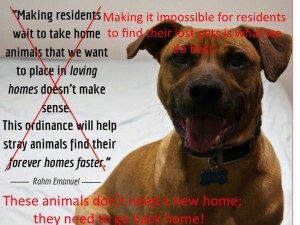 A team of volunteers distributed fliers and in one night she was reunited when her owners saw one of the posted fliers. One of Lost Dogs Illinois’s (LDI) concerns with reducing the stray hold from five days to three days was owners would not have time to find their lost dogs. Coqueta’s story verifies this. Many owners who are looking for their dogs do not find them within three days. More time is needed. 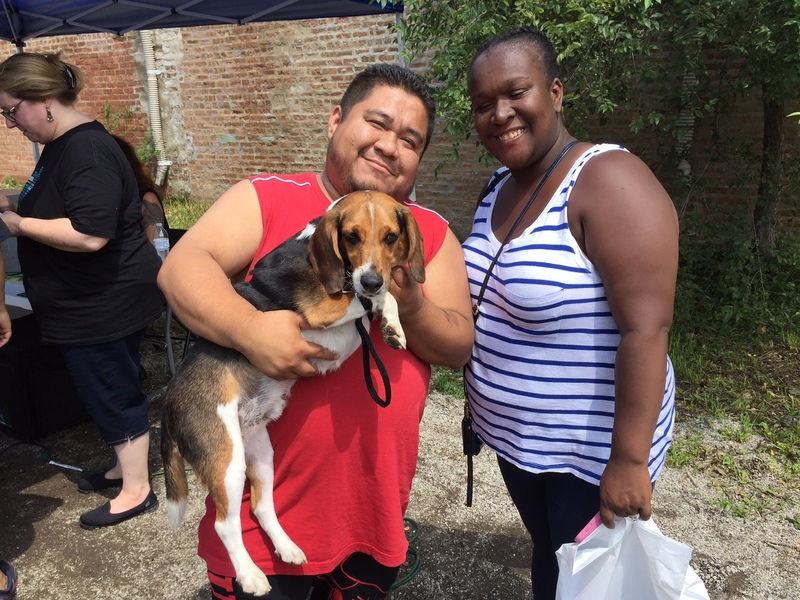 A LDI shout out to this special Good Sam who went the extra mile to find Coqueta’s family! Coqueta didn’t need a new home. She just needed to go back home. 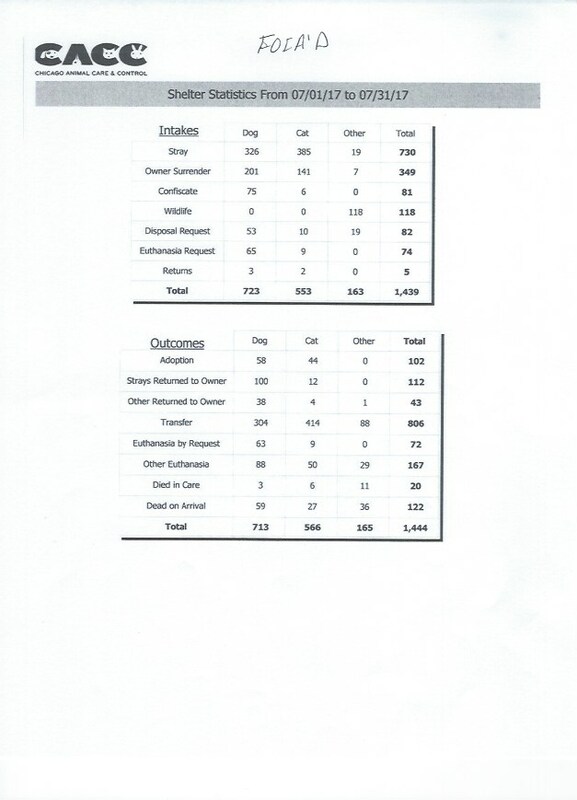 This entry was posted in Animal Control/Stray holding facilities, lost dogs, Rescues and Shelters, Reunions and tagged animal control, CACC, lost pets, reunion stories, Stray holding facilties on May 9, 2015 by Susan. We, at Lost Dogs Illinois, feel it is important to keep you informed on what is going with trying to revisit the ordinance to reduce the stray hold of dogs and cats in Chicago. “Good Morning! 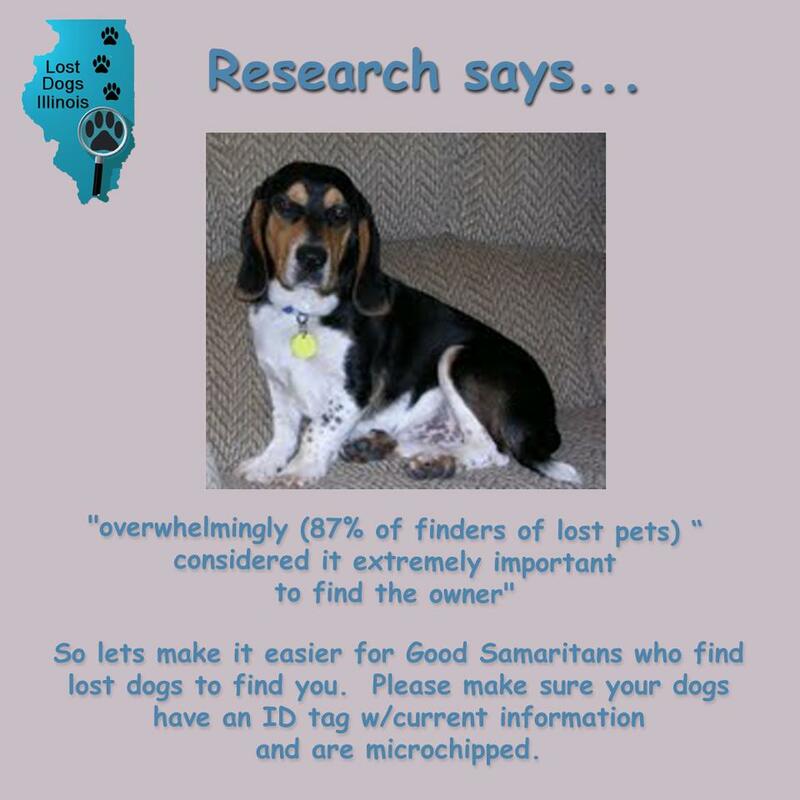 I am Susan Taney, Director of Lost Dogs Illinois. 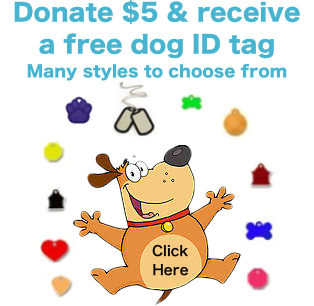 As many of you know, LDI is a not for profit organization that provides resources and tools to help families find their lost dogs. 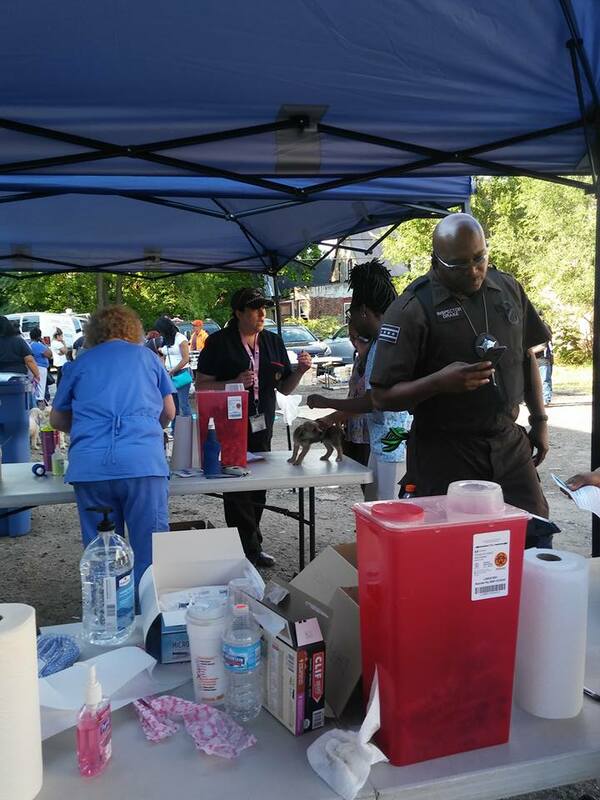 We saw the need to help Illinois residents in the recovery of their lost dogs. Many people give up, do not have the resources to help them, do not know where their animal control facility is located or the money to pay for a professional “pet detective”. In less than five years, over 15,000 dogs have been reunited with their families. We were very dismayed to learn after the fact that the City of Chicago Budget committee had passed the ordinance to reduce the stray hold. On LDI’s Facebook page, we asked our supporters to contact the Mayor and Aldermen. I attended the City Council meeting with our supporters to only find out that there was no public discussion allowed at the meeting. Another aldermen also had told us that the ordinance was going to be tabled for more discussion. The ordinance was passed with no public comment. After trying to find out when the ordinance was going to be implemented. I FOIA’d (Freedom of Information Act) City of Chicago Animal Care and Control and received the following message – “See Attached and the link to the ordinance” Then I asked the City Clerk’s office – they gave me the link. Again, no implementation date was set. I did not find out the implementation date until the Prince Charming blog. There was nothing provided to the hundreds of thousands of Chicago residents with beloved family pet members letting them know that the ordinance had been changed. 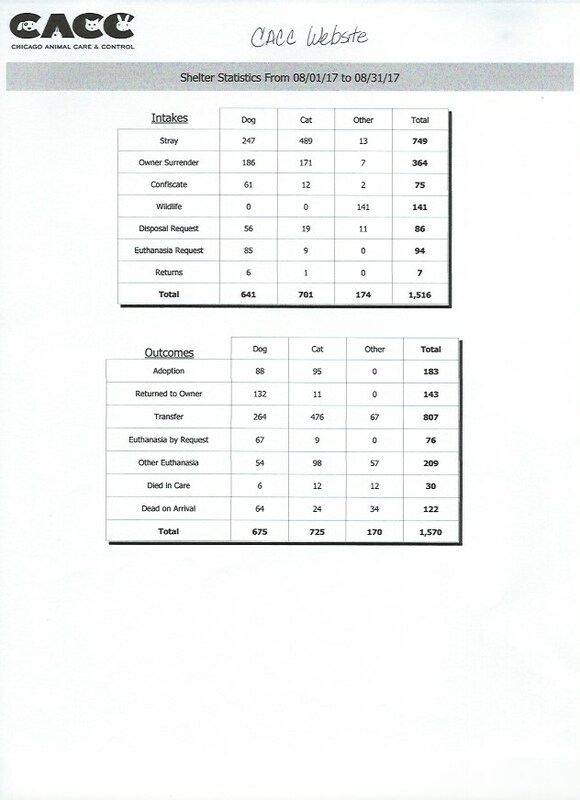 Chicago citizens pay taxes; their taxes fund CACC. CACC is supposed to provide services to the citizens. I also want to share that two years ago Kathy Pobloskie, Director of LDOW, and I met with the CACC senior management staff to provide suggestions for free and low cost ways to increase the return to owner rates. We offered to train their volunteers. 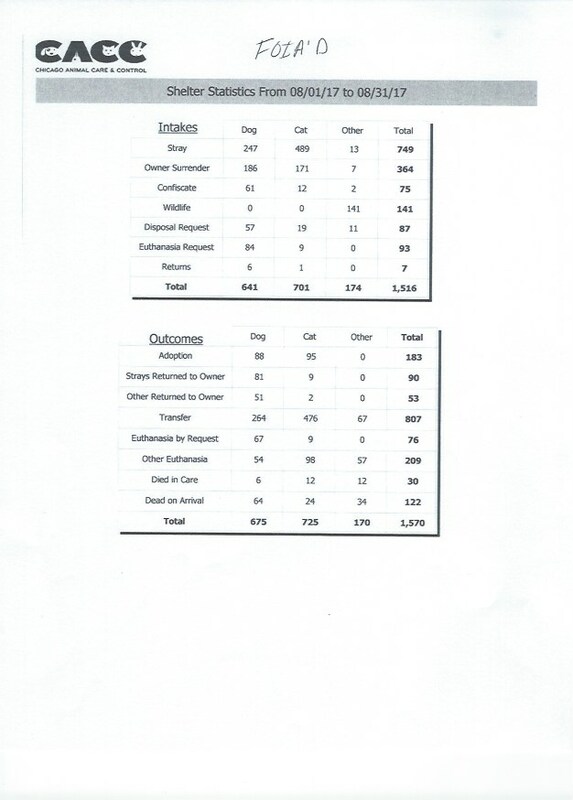 I also presented a PowerPoint presentation to CASA about Lost Dogs Illinois in regards to our program. 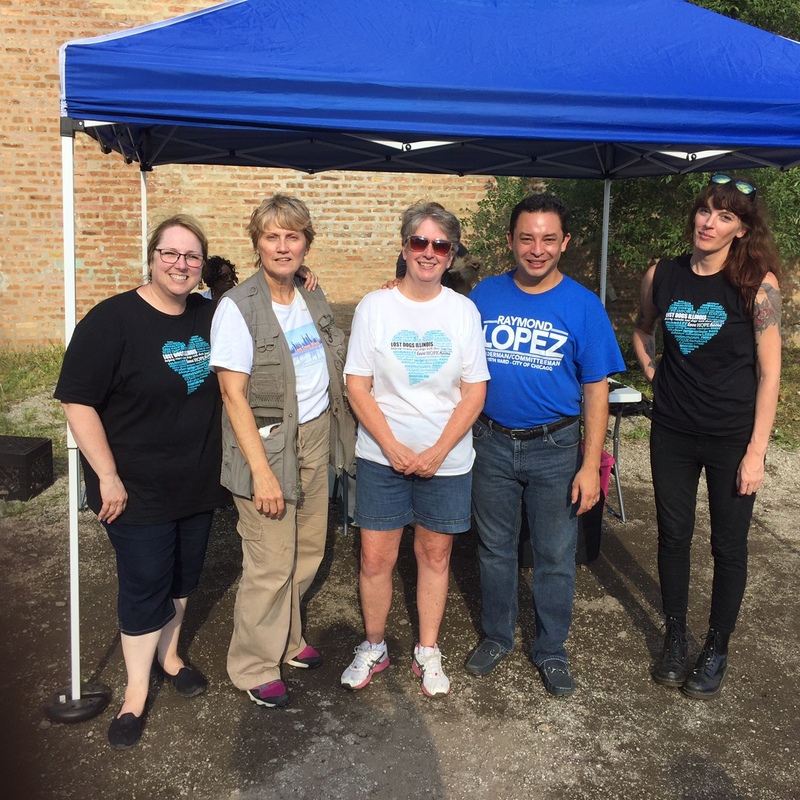 Our goal is to make Chicago shine and be one of the best cities to live in and know that the Chicago residents who have animals as loved family pets will be treated with respect and dignity. 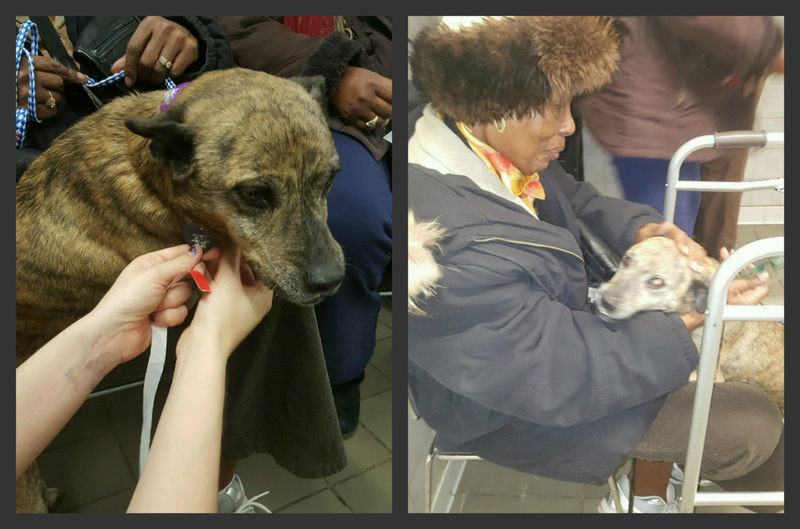 We have received so many testimonials from families saying they did not know what to do, where to look and now CACC has only made it more difficult for residents to find their lost animals. There needs to be a balance between people who have lost their dogs and the truly homeless dogs that needs to be rescued. 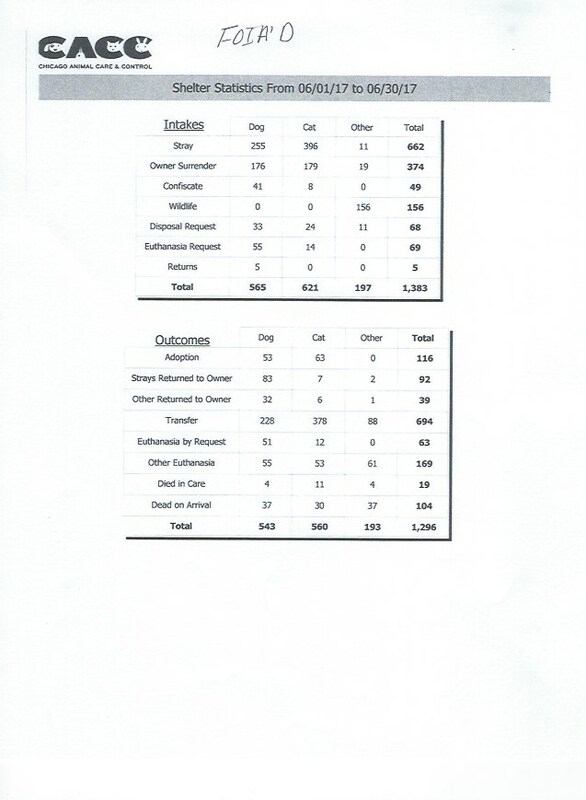 Attached are the handouts that was given in the packet to the members of the Commission for the City of Chicago Animal Care and Control . 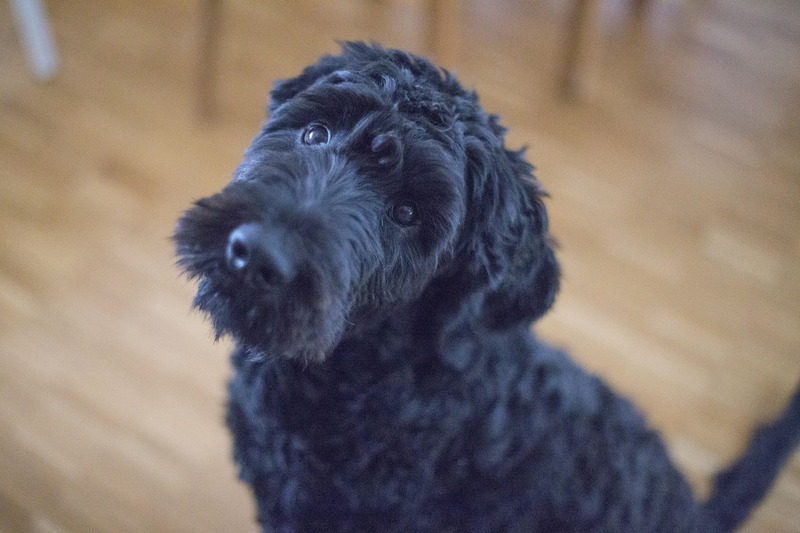 LDI Blog – Revisit the ordinance to reduce the stray hold period for cats and dogs in Chicago. 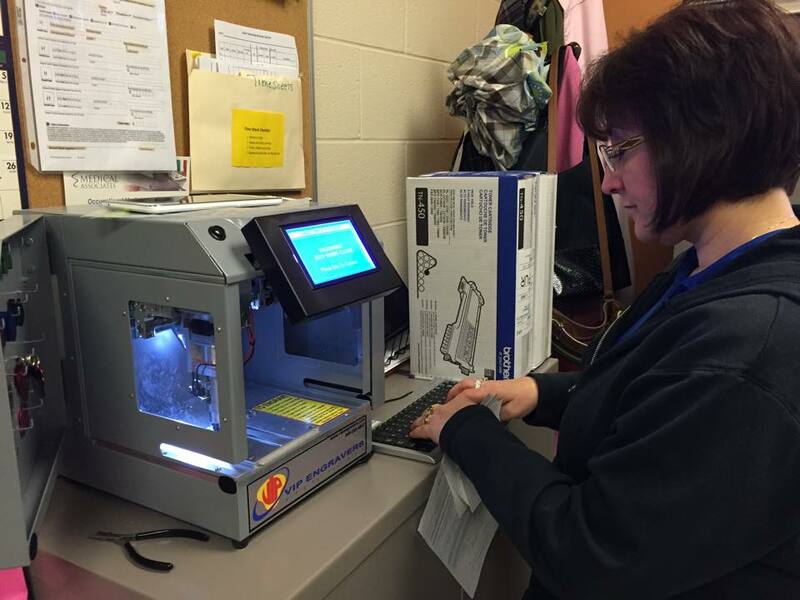 LDI believes that knowledge is power. Be sure to read our blogs. Be informed. You are your animals’ advocate. They are depending on you! The Mayor and Aldermen have the power to change this ordinance. We ask that you continue to call, email, and even set up appointments to discuss your concerns. Continue to share the petition. 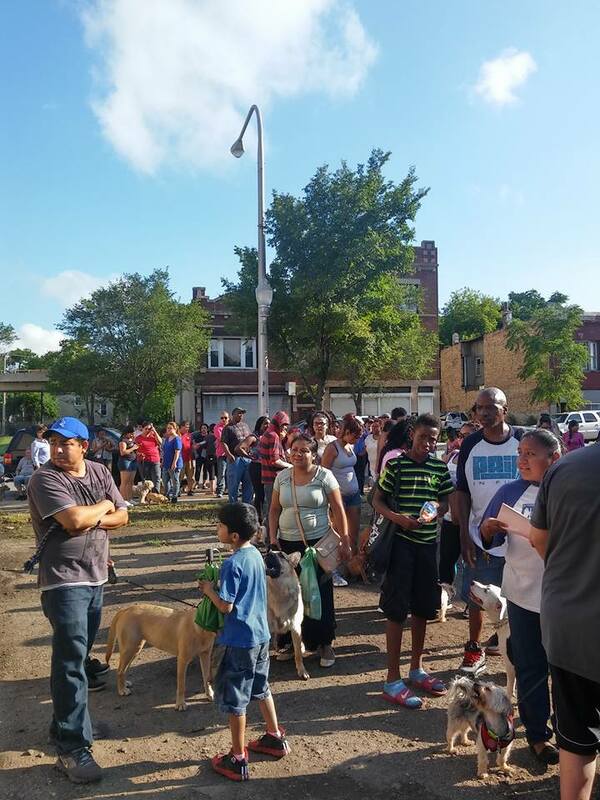 Together we can make an impact for Chicagoans and their loved cat and dog family members. This entry was posted in Animal Control/Stray holding facilities, Our Organization and tagged CACC, Chicago City Council, City of Chicago Aldermen, City of Chicago Animal Care and Control, dogs, lost dogs, Mayor Emanuel, Stray holding facilties on March 25, 2015 by Susan.